Information Security Response Team (NPCERT) – an organization that works for various cyber securities issues has concluded its second annual general meeting on Saturday at Dinning Park, Mid- Baneshwor. Chief Guest Birendra Kumar Mishra inaugurated the program, Joint Secretary at Ministry of Communication & Information Technology (MOCIT) informed that the government is in the final phase to form National Computer Emergency Response Team (CERT)”. We are in the process of making directives for SERT, added Mishra. As there are many CERTS and sub-domains of Security all of them should give best from their level. It is suitable for all the NGOs and INGOs to establish CERT; now all these CERTS are needed to work with proper mutual understanding, told Mishra. Special Guest and Director General at Information Technology Department Laxmi Prasad Yadav said,” government has brought a plan to work with private sectors regarding cybersecurity.” Government is all set to coordinate with private sectors, added Yadav. Similarly, Hemant Chaurasiya President of CAN Federation raised issues about cyber threats and appealed all the SERTS to work with proper cooperation. 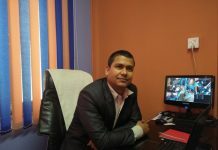 Chiranjibi Adhikari, President at NPCERT, said, “Within a short span of time NPCERT has gained an immense level of popularity. On coming days we will coordinate with different bodies and bring various effective programs. Similarly, we will also run our operations outside the Kathmandu valley. FNCCI ICT Development Committee Chairperson Er. Binod Dhakal, Nawraj Kunwar (Senior Vice-President at CAN Federation), Treasurer Khusal Regmi, Co-Treasurer Shekhar Dulal and Vice-President of SICT Nepal Bishal Mahat showed their presence in the event. 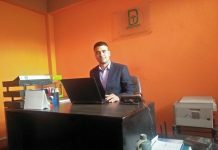 Likewise, General Secretary Dhurba Raj Sharma presented the progress reports of fiscal year 2074/75. With all, the members made a discussion on the statements presented by the accounting committee. The meeting of the annual general has nominated Maheswor Man Joshi and Shankar Prasad Sharma as an Executive Committee member of NPCERT. Similarly, the meeting decided to make 13 members committee from 17 member committee, and it also decided to divide the works of members. 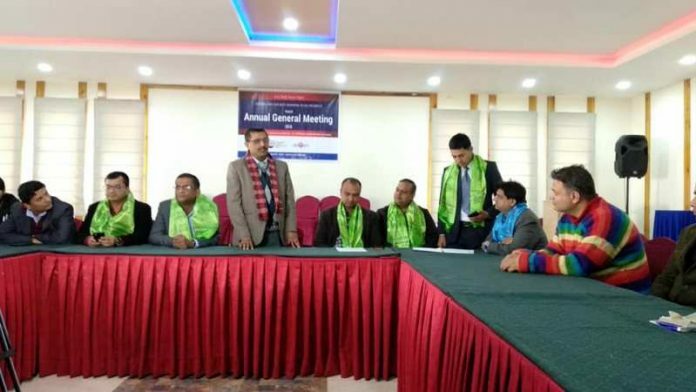 Under the annual general meeting of 2018’s NPCERT, Chiranjibi Adhikari has been appointed as president of the organization, Dr. Pramod Parajuli as senior vice-president, Kumar Pudasaini as vice-president, Dhurba Raj Joshi ‘Sudip’ as general secretary, Niranjan Khakurel as secretary, Netra Prasad Poudel as treasurer and Niranjan Patel as co-treasurer. 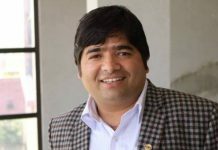 Likewise, the names of the members are Dibya Tara Shakya, Shiva Basnet, Kumar Poudyal, Suresh Bhandari, Shankar Prasad Sharma, and Maheswor Man Joshi. To regulate the activities of NPCERT outside the Kathmandu valley, the organization has picked up Jaya Ram Humagain and Bhoj Raj Timalsina as a province coordinator from Province 3 and 5 respectively.